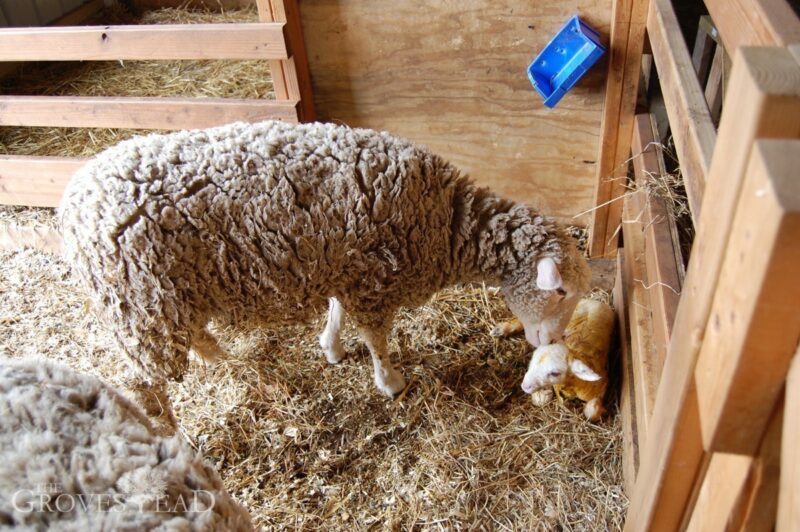 So Rory ran out to the barn, and sure enough, still in its sack, found a baby lamb and affectionate mother cleaning it. He stayed to make sure everything was going smoothly, separated the other two sheep from the new mama and her baby and filled the water bucket with warm molasses water. 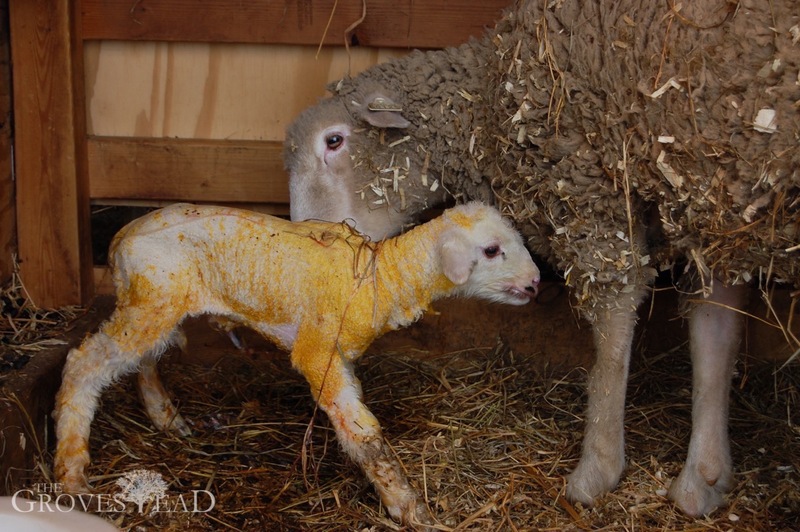 But I went out to the barn and the little lamb was already trying to stand on it’s legs and nurse. Everything was going so smoothly, much to my serious relief. 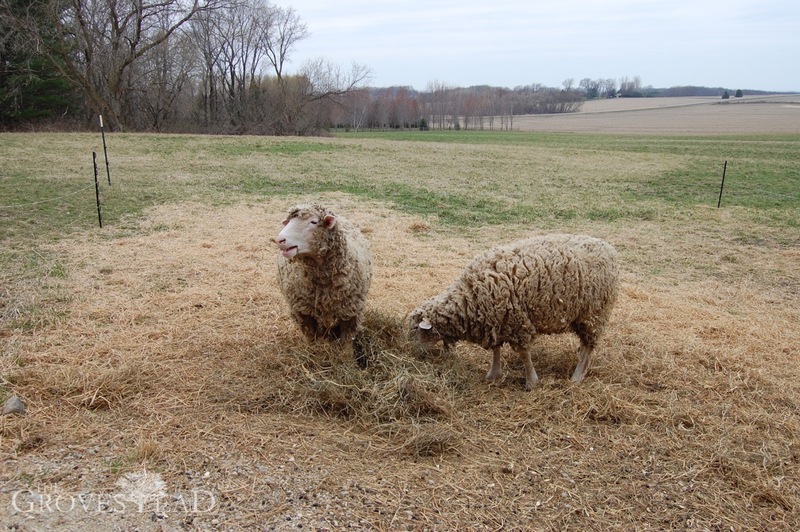 We are so new at all of this and even though we have been reading our go-to sheep book and asking questions and watching youtube videos, there are some lessons to learn that you just have to experience. But it’s scary! We really love our animals and want to care for them perfectly, even as we learn everything from scratch. We named the little lamb Sunday, as he was born on a Sunday and quickly discovered the lamb was a boy…just like our two goat kids are male. We’re ready for a lady! 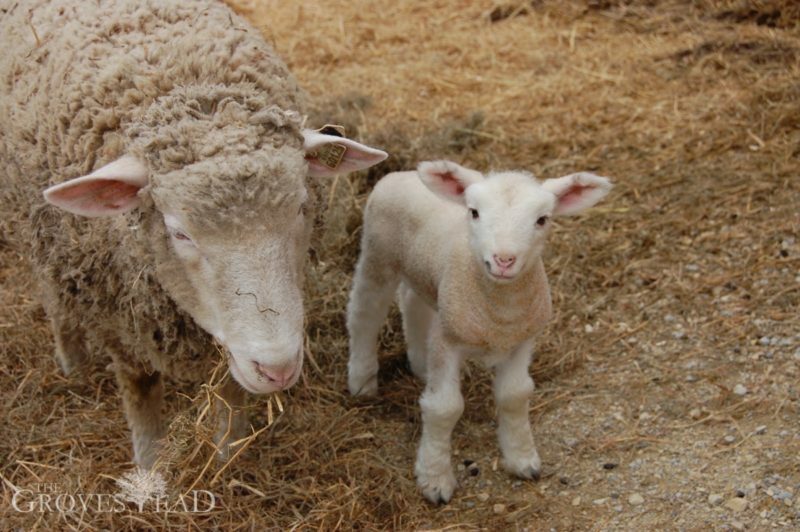 The next day we found the lamb jumping around, trying out it’s legs, kicking and dancing all around the pen. All the sheep (except the ram) were let outside on Tuesday and it was so fun to watch Sunday bound around the field. It is amazing to watch how quickly these barn animals get to their feet! In human time, a kid isn’t jumping and leaping for 18 months, maybe 2 whole years. And here, on day two of life the lamb was kicking around his sturdy legs. 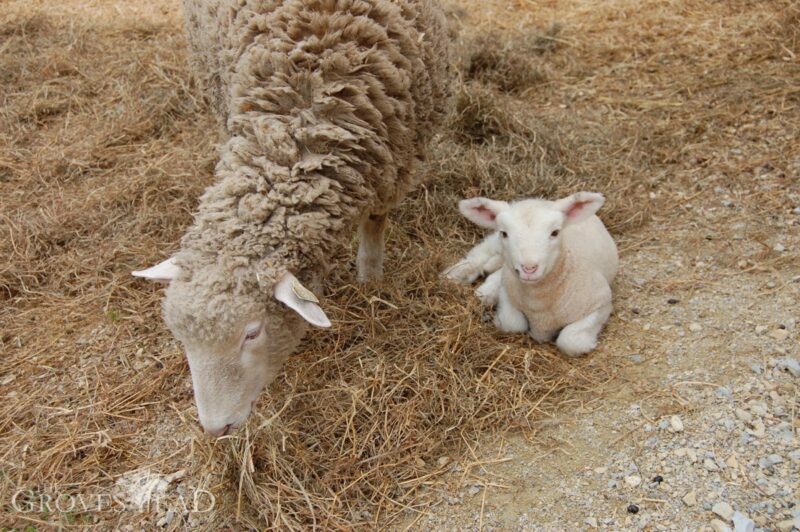 Easter is full of lamb imagery. Jesus is the pure, spotless lamb of God here to take away the sins of the world. 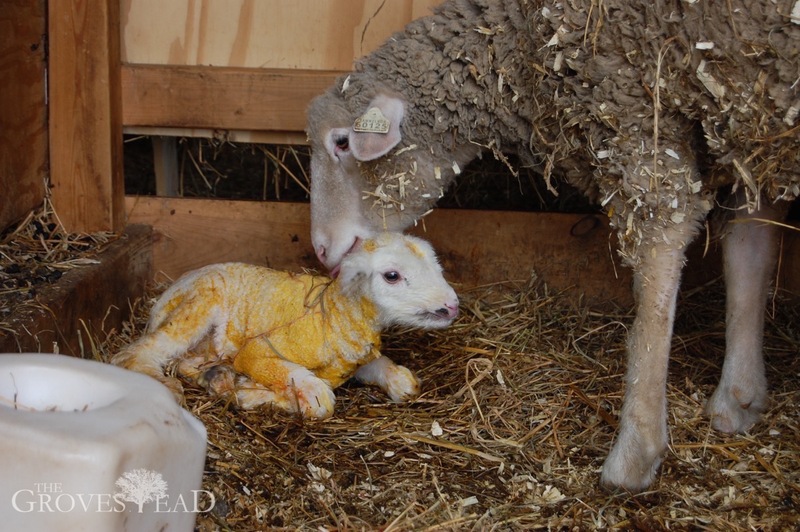 These words have a whole new meaning as we behold our little, sweet lamb bounding happily around the barn.